Calling all scientists, engineers, artists and mathematicians in grades 4,5 and 6 – join us for a captivating morning of creating, building and exploring! 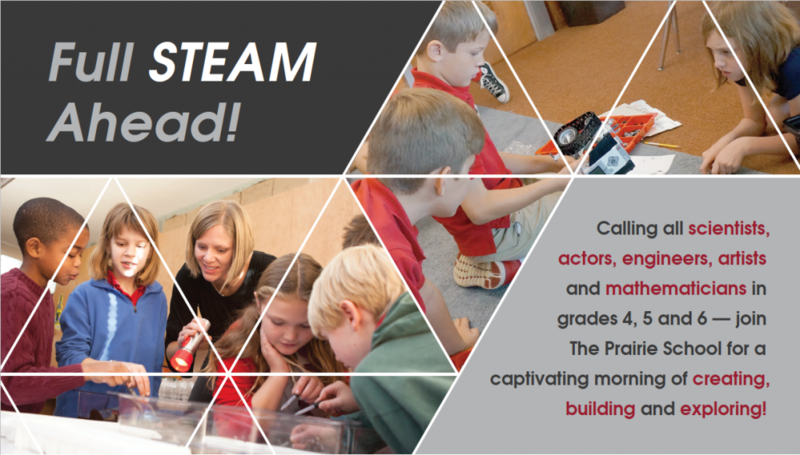 Choose from a variety of fun and experimental courses with Prairie teachers, including Now You See It… (Science), Costumes to Casting (Theater), Bot Bootup (Engineering), Tools of the Trade (Art) and Einsteinian Espionage (Math). Please note: This event is intended for non-TPS students. STEAM Saturday is limited to the first 50 respondents. Register via the below link, or by contacting Molly Lofquist Johnson, Senior Director of Admission, at [email protected] or 262-752-2525. Guests should enter through Door #7 (Student Research Center) off Lighthouse Drive.